President Donald Trump is sharply escalating a confrontation with China over trade. The United States will impose a 25% tariff on $50 billion of Chinese exports, the president said early Friday. China vowed to retaliate immediately and said the United States had "launched a trade war." The US penalty is designed to punish China for stealing American technology and trade secrets. It will apply to roughly 1,100 exports and will target the Chinese aerospace, robotics, manufacturing and auto industries. Trade between the two countries "has been very unfair, for a very long time," Trump said in a statement. "This situation is no longer sustainable." US customs agents will begin collecting the duties on July 6, the administration said. 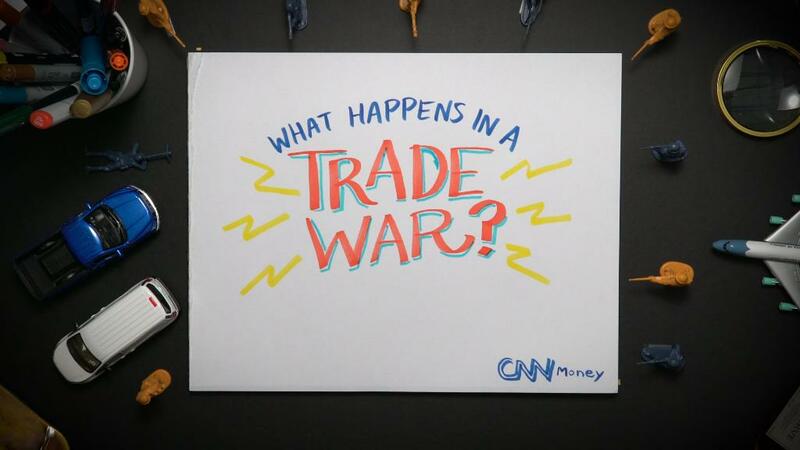 The move represents a serious elevation of trade tensions between the world's two largest economies — just as Trump has also picked fights with allies Canada, Mexico and the European Union over steel and aluminum. Beijing said Friday it will fight back with tariffs of its own. China previously outlined plans to respond with retaliatory tariffs on $50 billion of US products such as cars, planes and soybeans. China also said it would scrap promises to purchase more US goods. Those pledges came during negotiations with US trade officials last month. "In this day and age, launching a trade war is not in the interest of the world," China's Commerce Ministry said in a statement. "We call on all countries to act together to firmly stop such an outdated and backward move, and to firmly safeguard the common interest of all mankind." Trump raised the prospect of even further escalation. He said that if China retaliated, the United States would authorize another round of tariffs on Chinese goods. 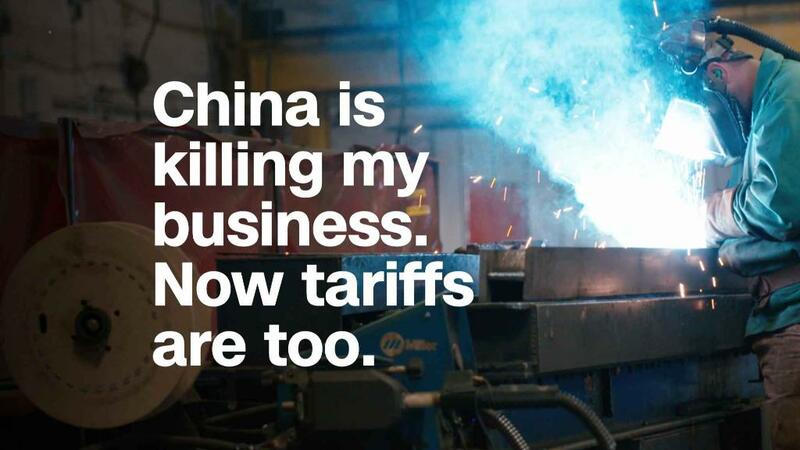 He has previously suggested those tariffs could apply to as much as $100 billion of products. The US tariffs announced Friday will be enacted in two waves. More than 800 exports, about $34 billion worth, will be subject to tariffs starting in July. Another 280 or so still need to undergo a public comment period, and will take effect later. American companies will be allowed to apply for an exemption from the tariff. The administration will outline the exemption process in coming weeks, a senior administration official told reporters. The president gave the green light after a meeting Thursday with top economic officials, including Treasury Secretary Steven Mnuchin, Commerce Secretary Wilbur Ross and US Trade Representative Robert Lighthizer. For months, Trump had slow-walked threats of tariffs against China as punishment for intellectual property theft. "We have a tremendous intellectual property theft problem," Trump said at the time. "It's going to make us a much stronger, much richer nation." After China warned it would retaliate, Trump threatened tariffs on a further $100 billion of Chinese products. 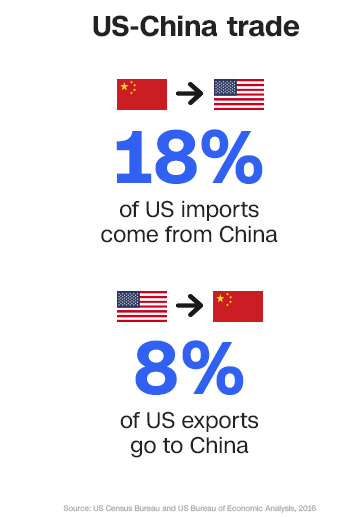 The countries said in a joint statement that China would "significantly increase" purchases of US agricultural and energy products to reduce the trade imbalance, a top Trump administration demand. Mnuchin subsequently declared the trade war "on hold." A further round of trade talks in Beijing earlier this month failed to yield any breakthroughs. And the Chinese government warned then it wouldn't honor its pledge to increase purchases of US goods if tariffs were imposed. The Trump administration last week cut a deal with Chinese telecommunications firm ZTE (ZTCOF) to end a crippling ban that prevented the company from buying American parts. ZTE's fate had become entwined in the trade talks. But the agreement to save the company has faced resistance from lawmakers in Congress, who argue the ban should stay in place because ZTE allegedly poses a security threat. Trump's decision to move forward with tariffs on China follows his recent imposition of steep tariffs on steel and aluminum imports from Canada, Mexico and the European Union on national security grounds. After the G7 summit, Trump sent out an angry pair of tweets in which he slammed Canadian Prime Minister Justin Trudeau as "very dishonest & weak," and ordered US representatives not to sign a joint communique with the G7 leaders.